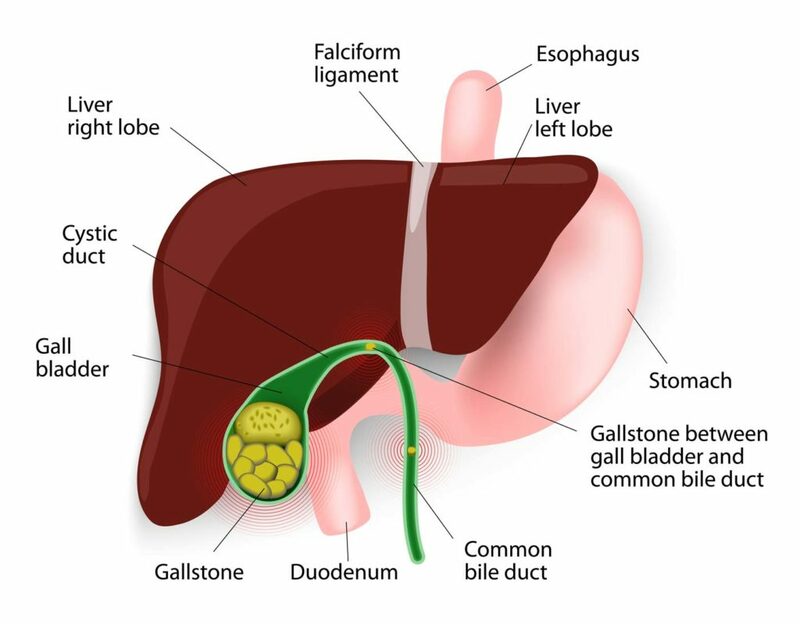 Laparoscopic gallbladder surgery (cholecystectomy) removes the gallbladder and gallstones through several small cuts (incisions) in the abdomen. The Dr. Patero inflates your abdomen with air or carbon dioxide in order to see clearly. The Dr. Patero inserts a lighted scope attached to a video camera (laparoscope) into one incision near the belly button. The Dr. Patero then uses a video monitor as a guide while inserting surgical instruments into the other incisions to remove your gallbladder. Before the Dr. Patero removes the gallbladder, you may have a special X-ray procedure called intraoperative cholangiography, which shows the anatomy of the bile ducts. In 5 to 10 out of 100 laparoscopic gallbladder surgeries in the United States, the Dr. Patero needs to switch to an open surgical method that requires a larger incision.1 Examples of problems that can require open rather than laparoscopic surgery include unexpected inflammation, scar tissue, injury, and bleeding.